Rassay is the rugged, 10-mile-long island that has off Skye’s east coast. There are several good walks here, including one to the flat-topped conical hill of Dun (443m). 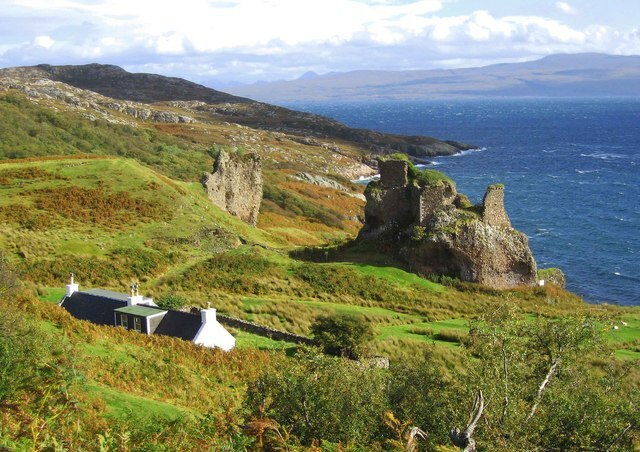 The extraordinary ruin of Brochel Castle, perched on a pinnacle at the northern end of Raasay, was home to Calum Garbh MacLeod, an early-16th-century pirate. At the battle of Culloden in 1746, Raasay supplied Bonnie Prince Charlie with around 100 fighting men and 26 pipers, but the people paid dearly for their Jacobite sympathies when the victorious government forces proceeded to murder and pillage their way across the island. The Isle of Raasay has a rich history that makes it a must see on your tours of Scotland.